How to Get the Right Feel in a Latex Mattress? Some Questions to Answer Before the Purchase! When you get the signal from your current mattress that it may be time to purchase a new mattress ask yourself what’s going on with the product you’re sleeping on and based on those answers how is it affecting you physically and how is it preventing you from getting a solid good nights’ sleep? You need to look at what you have in your current bed first. Many people think they can purchase a new latex mattress and that will solve the problem of bad sleep. But if the foundation you plan to put your new latex mattress on is shot, springs are worn out and it’s lost its’ support capability you’re defeating the purpose of getting a new mattress. Even though one of the great features of latex is that it springs back to its’ shape immediately and won’t get impressions (unlike memory foam) you can’t put latex on a bad foundation and not expect it to sink into the unsupported areas. Let’s say you do have either a spring foundation or an orthopedic foundation (solid) that is in great shape. You won’t need to buy a new foundation just the latex mattress. Just remember though that if you put your latex mattress on a spring foundation the mattress will have a little more give based on the springs. If the same mattress goes on an ortho foundation (no springs involved) the overall feel will be a little firmer. People used to think hard and firm was the best for support. That’s not the case-especially with the exceptional qualities of latex mattresses. You can get the support your spine needs along with a softer or firmer feel next to your body by mixing latex layers to make your mattress. The top layer can be softer so it contours to your body while the underlying layers provide the support. And speaking of support, what about the couple who is different in size and weight? Who gets to determine the mattress selection? What if he is over 6 feet and 260 pounds and sweetie pie is 5′ 6″ and 140 pounds? Hard Call? No, you can have a his/hers mattress made so maybe his side is an extra firm, firm, firm and her side is a firm, medium, soft in the layers chosen. Buying a layered mattress gives you the option of rearranging the layers to “tweak” your mattress and get it just right for you. This type of mattress comes in a zippered mattress enclosure so you can just unzip and arrange away! Other considerations are do you sleep on your back or on your stomach or side? Back sleepers do better on a little firmer mattress while side/stomach sleepers need a little softer forgiveness in the top layer. You just can’t beat latex for so many reasons. It has twice the life a regular innerspring mattress. It’s available in a number of choices to give even the heaviest person total support and it’s available in choices that give pressure relief and a plush cushion feel. 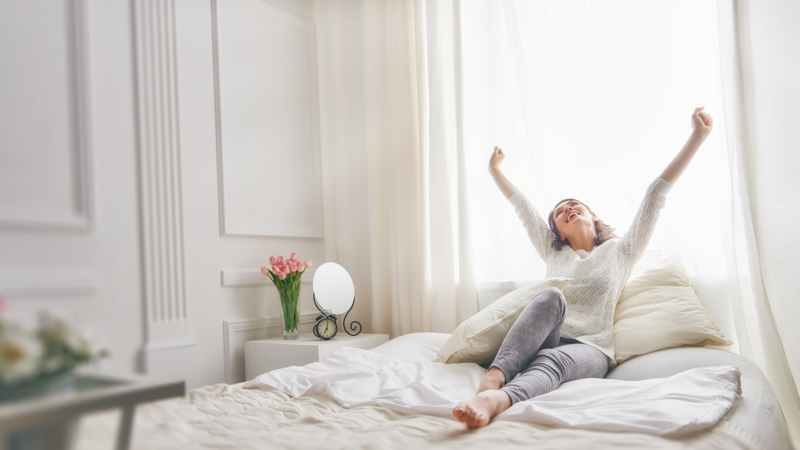 If you’re tossing and turning at night your body is most likely fighting to stay aligned-a latex mattress can come to your rescue! We’d like to help you select the right mattress based on what we’ve outlined. We invite you to contact us to answer any questions.